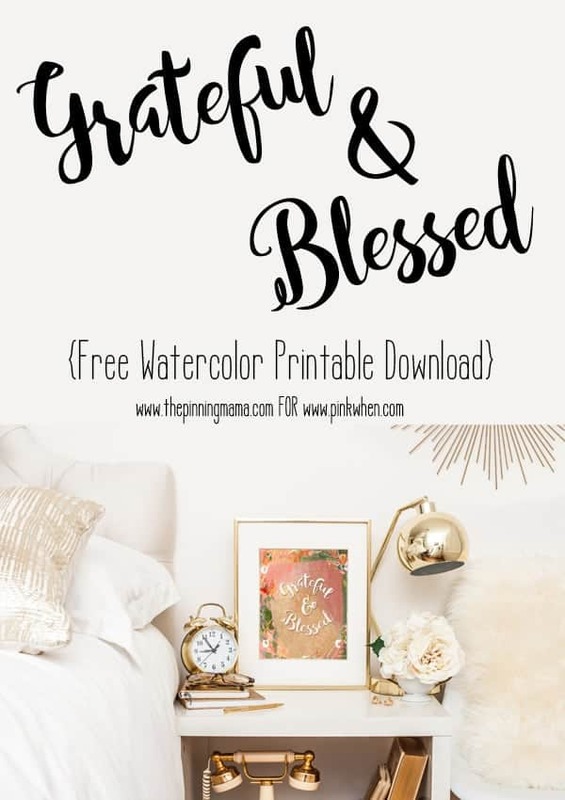 This Grateful and Blessed Free Printable is the perfect addition to a mantle or gallery wall to capture the sentiment of the holiday season. Hi friends! Are you starting to feel the holidays coming on yet? You know what I mean… the bite in the air that comes with the changing seasons, the anticipation of the flood of activities and gatherings, the familiar aire of family being near, and the sentiment that comes with everything the holidays bring. I love it all and although I am not a big fan of the colder weather I am a big fan of the holiday season. The only words I can put to it this year though are “Grateful & Blessed.” Every day I feel lucky for my family, my life, and all of the vast opportunities and blessings that I have been given. I decided to put it into a watercolor print that I could use around the house all season long. You can grab it too over on my friend Jen’s blog, Pink When. I am so thankful for Jen and our journey through blogging together so sharing this on her site has been extra special to me! So hurry over and grab it so you can post it for your own special reminder about how grateful and blessed we are each and every day. You can also grab the fonts I used to make this on a super special right now on The Hungry Jpeg. 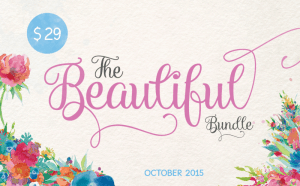 In the Beautiful Bundle, you get 33 fonts and 19 graphics making it only pennies per element. This is a limited offer though so make sure to grab it while it is still available.